Map of Items of Archaeology Significance in area. 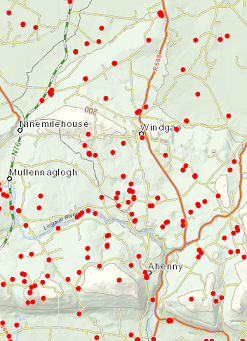 The Windgap and Tullahought are contain a significant number of items of archaeological interest, as highlighted in map, courtesy of OPW. This section will be updated regularly. A heritage group has been formed to evaluate our rich inventory.